According to the Centers for Disease Control, a baby boy born in the US in 2010 can expect to live 76.2 years; a baby girl should reach 81.1 years. Though the chances are good you'll outlive your pet, a few animals can watch us all come and go. If you grew up in the eastern or midwestern U.S., you may have come across a box turtle in your travels. This guy's habitat ranges from pastures, woodlands and meadows and is usually found with a stream or pond nearby. 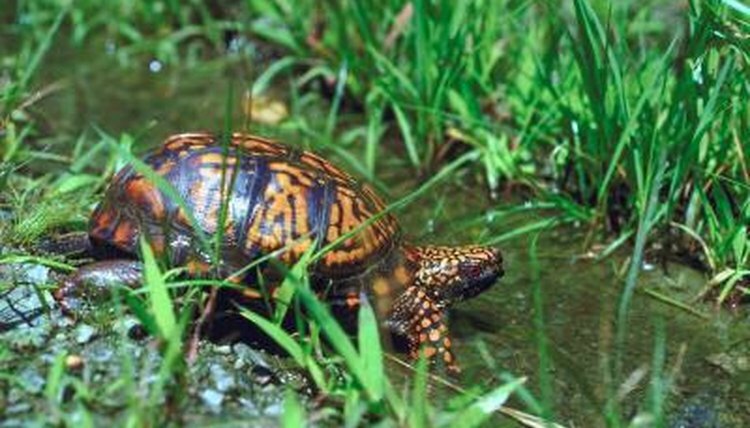 The box turtle isn't picky and eats insects, berries, snails, slugs, flowers, frogs, roots, birds, snakes and eggs. A young turtle will tend to have a more carnivorous diet during the first five or six years he's growing, but as he grows older, he'll expand his menu. That's probably a good thing -- the box turtle can live more than 100 years, so variety in his diet might keep him from getting bored with the same old thing. Few people will ever see the Galapagos land tortoise up close and personal. Limited to the Galapagos Islands in the Pacific Ocean, not only is he restricted to a small area, but he's an endangered species. He leads a fairly laid back life, napping in the sun almost 16 hours a day. This big fellow is a grazer, dining on leaves, grass and cactus. The largest tortoise in the world, he can reach almost 500 pounds and survive a year without eating and drinking because of his slow metabolism and vast internal water stores. His lifespan exceeds 100 years. The tuatara is truly a unique animal. He has the appearance of a lizard but he actually belongs to an extinct group of reptiles who roamed the earth during dinosaur times. This guy has spiky scales down his back as well as a third "eye" on the top of his head. The eye has a retina, lens and nerve endings but isn't used for seeing; instead, it's sensitive to light, helping the tuatara estimate time of day. Unlike lizards, this reptile prefers cool weather, is nocturnal and has no external ears. During the night hours, he eats insects as well as lizards, birds and bird eggs. In the wild, this "living fossil" can live to see 100. They can even reproduce in their old age -- Henry, a New Zealand tuatara in captivity, became a father at the age of 111 in 2009. If you've ever been to the Northwest, you may have seen a geoduck, a large bivalve known for its long siphon. The geoduck can live more than 150 years in saltwater around Puget Sound. At about 50 feet long and 220,000 pounds, the bowhead whale is one of the largest long-lived animals on Earth. This giant can live between 100 and 200 years in icy Arctic waters. Depending on when you bring a pet parrot into your life, you may need to make plans for his care because there's a chance your pet could outlive you -- some breeds can live 60 years in captivity.